Jacobean floral motifs and paisley leaves are artfully combined in this handcrafted swag printed on an all cotton cloth. The Artissimo Lined Duchess Swag is fully lined and boast a self piping trim that frames and accents the gracefully scalloped bottom of the swag. One pair of swags will cover windows from 36" to 60" in width. 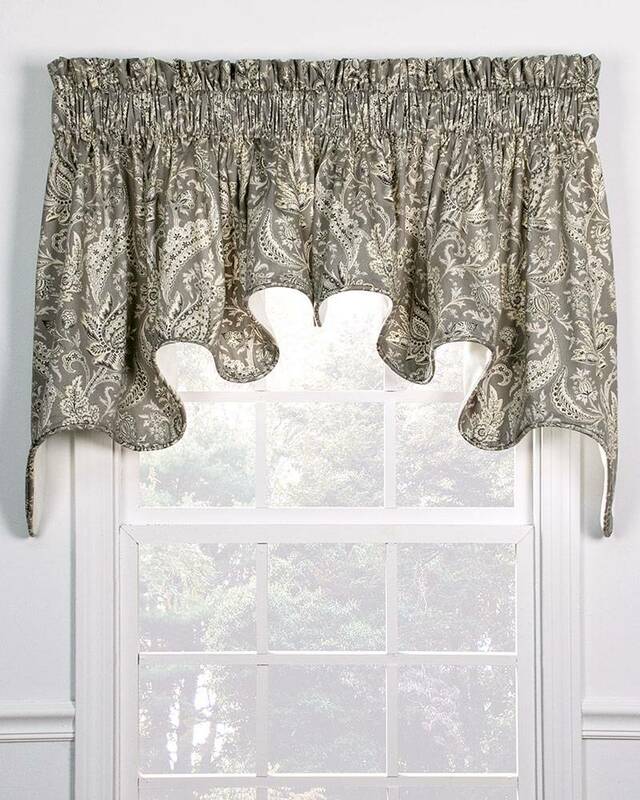 For wider windows, and for multiple windows that are being treated as one window, combine with Artissimo Lined Duchess Filler Valances (sold separately) - insert Filler Valance(s) between the right and left swag panels.